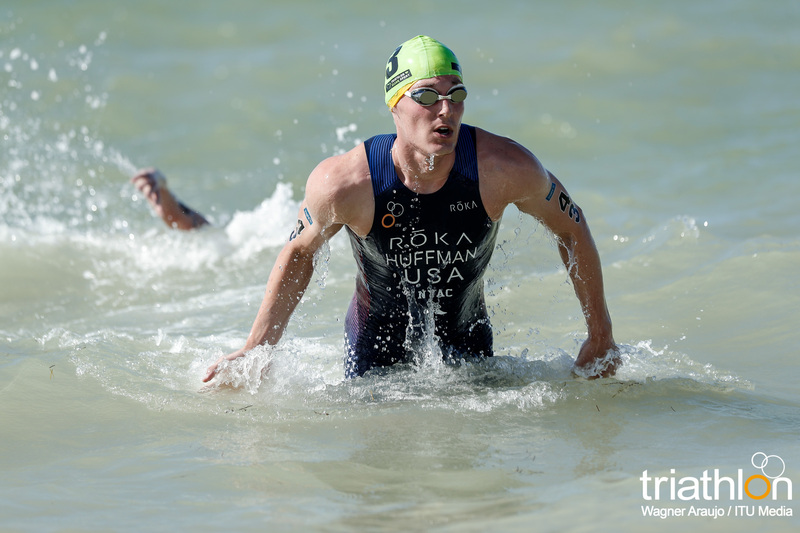 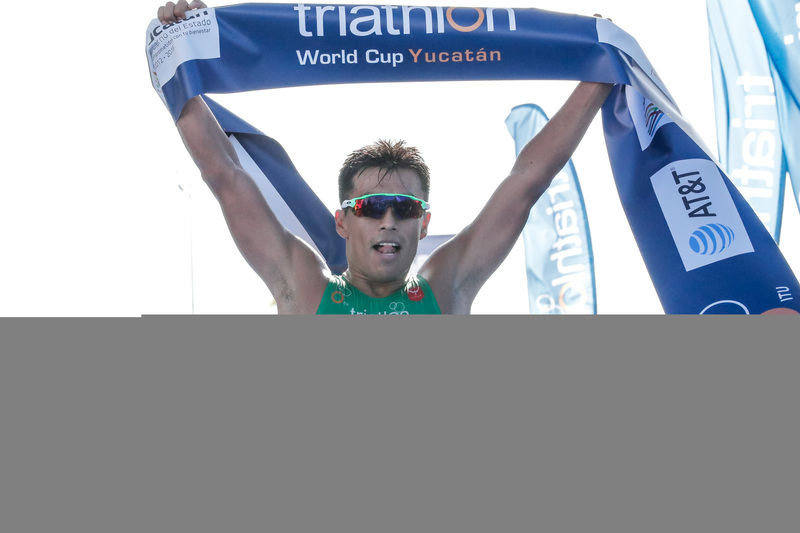 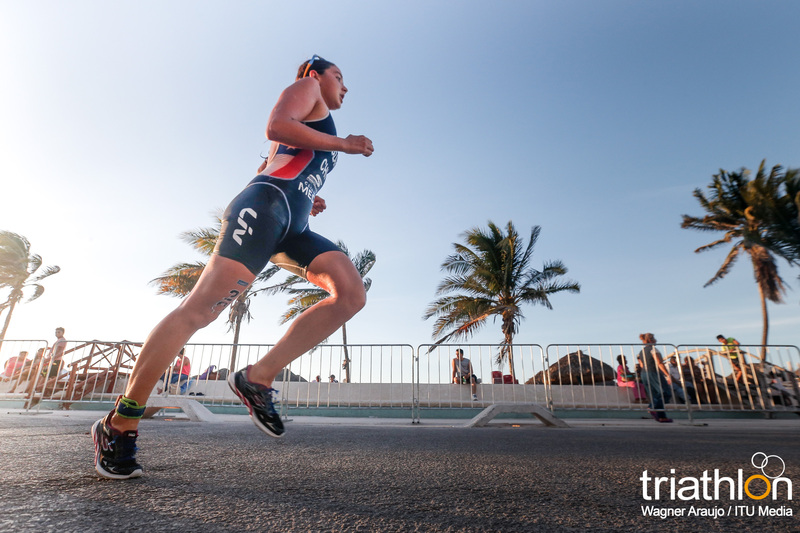 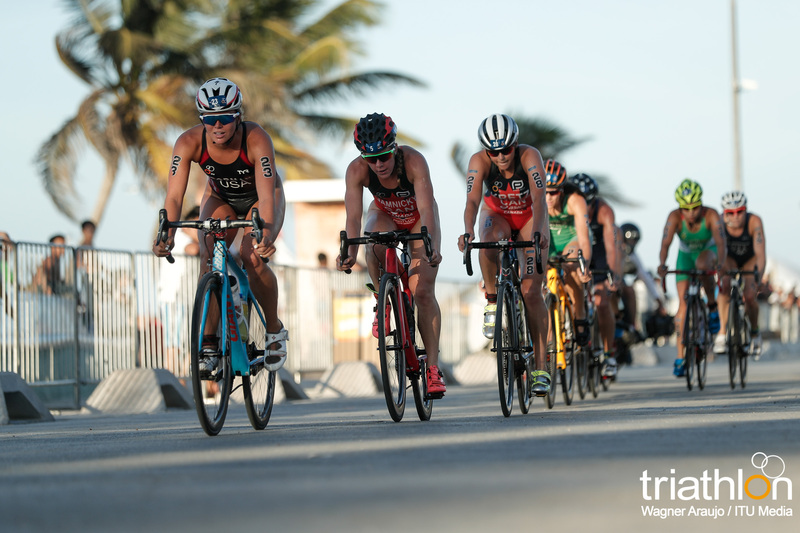 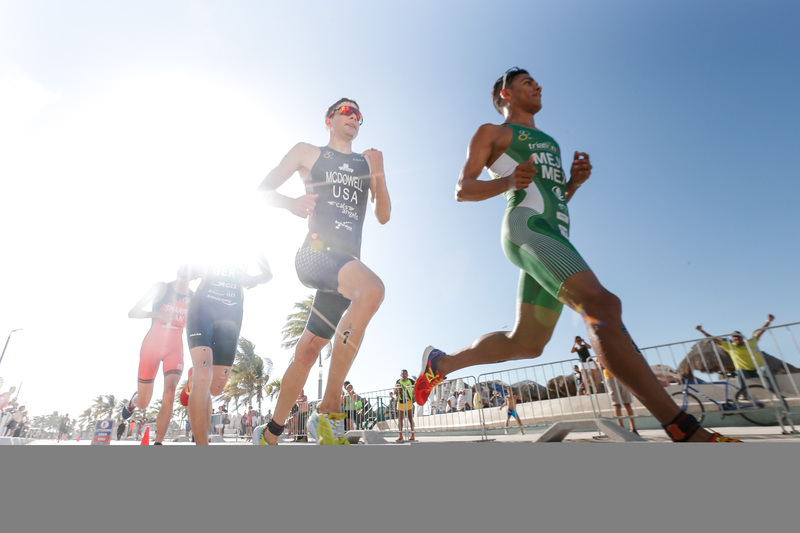 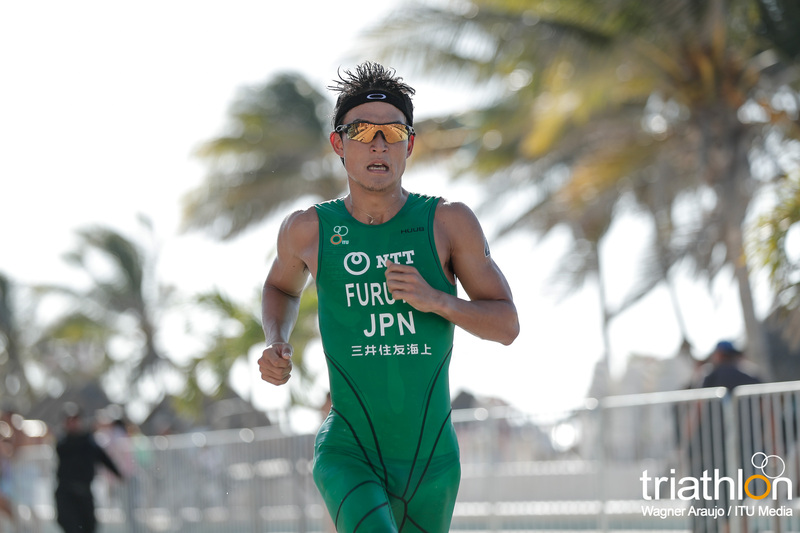 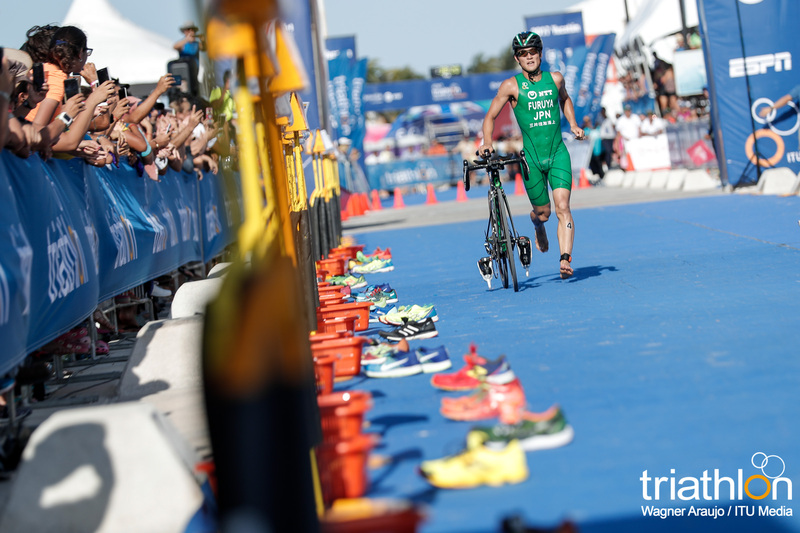 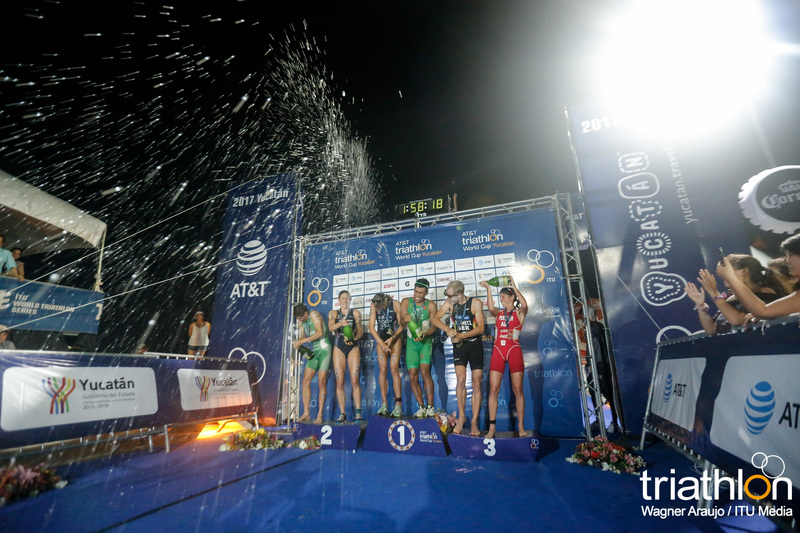 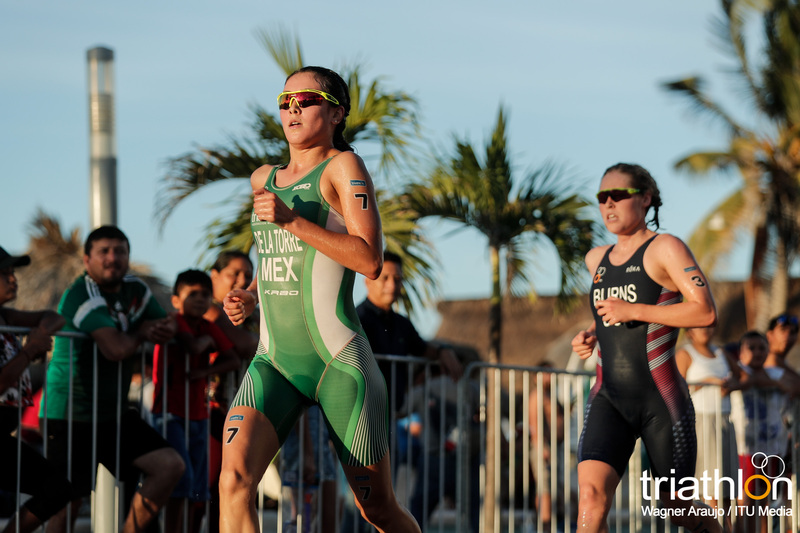 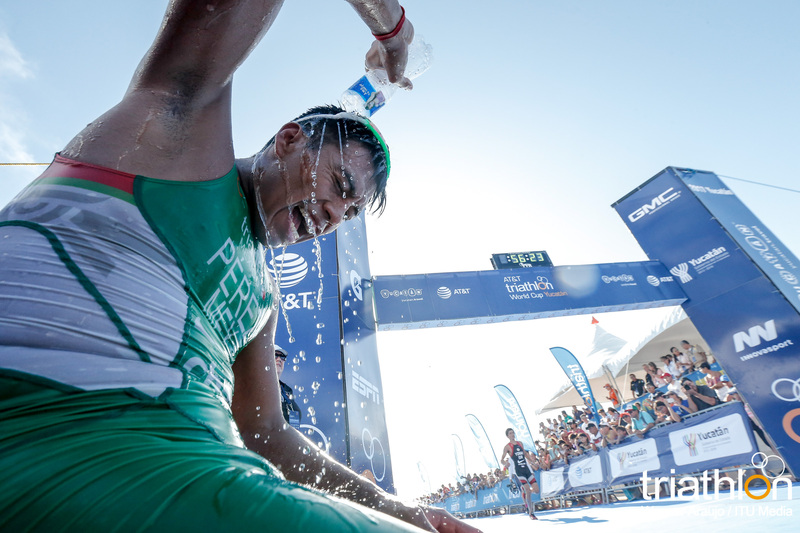 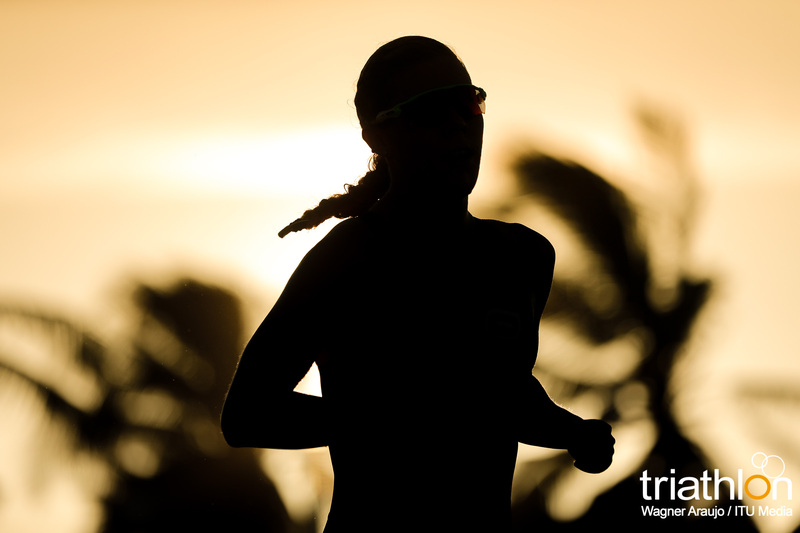 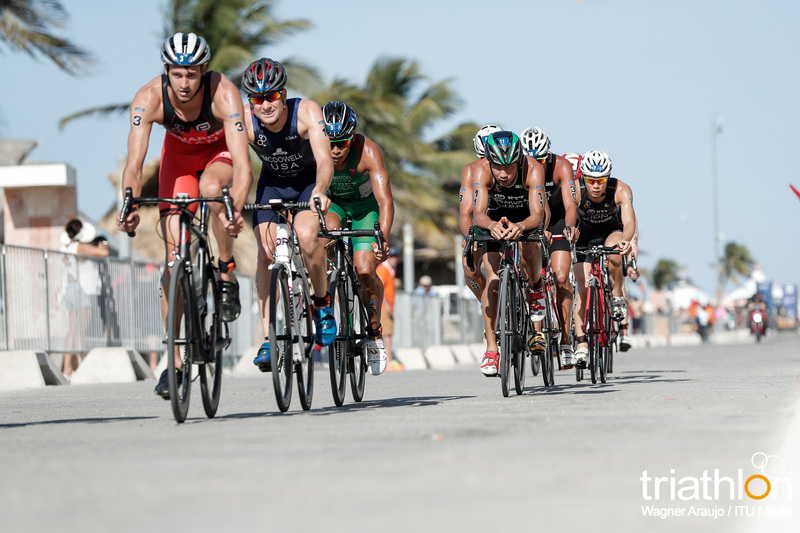 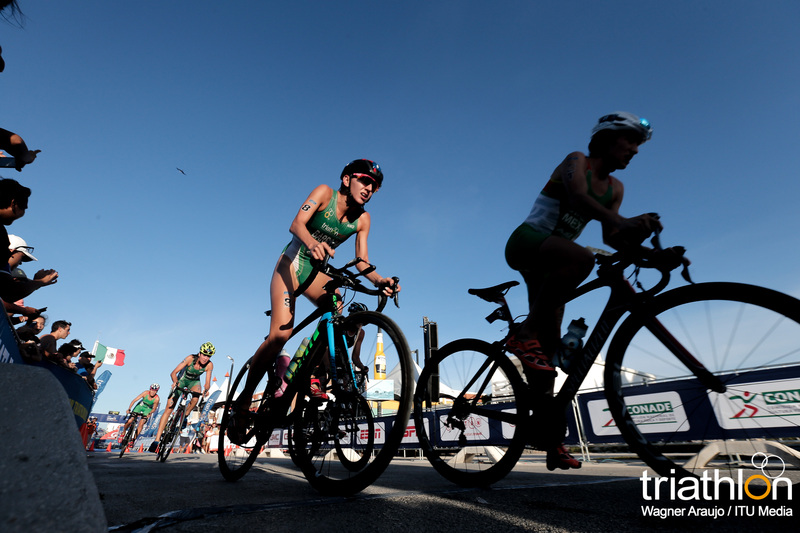 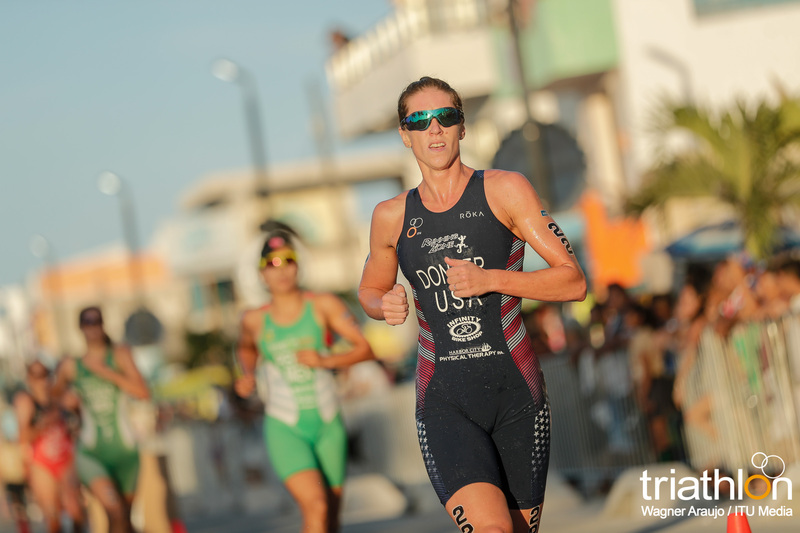 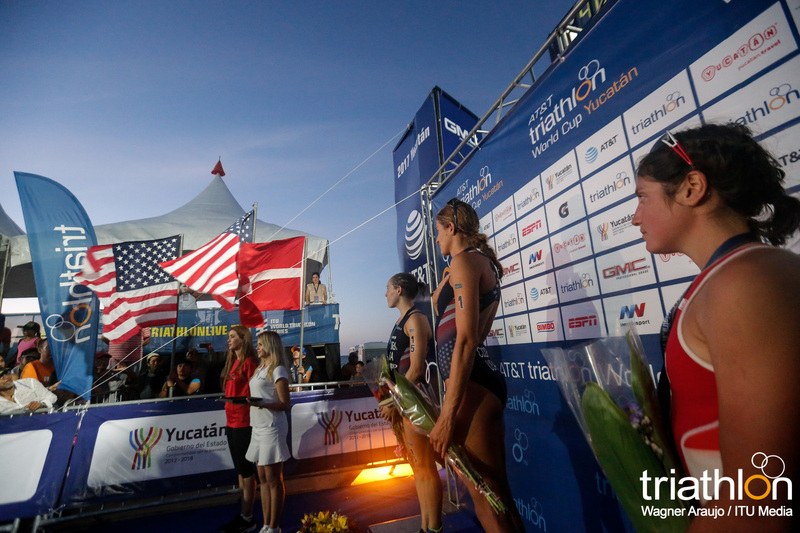 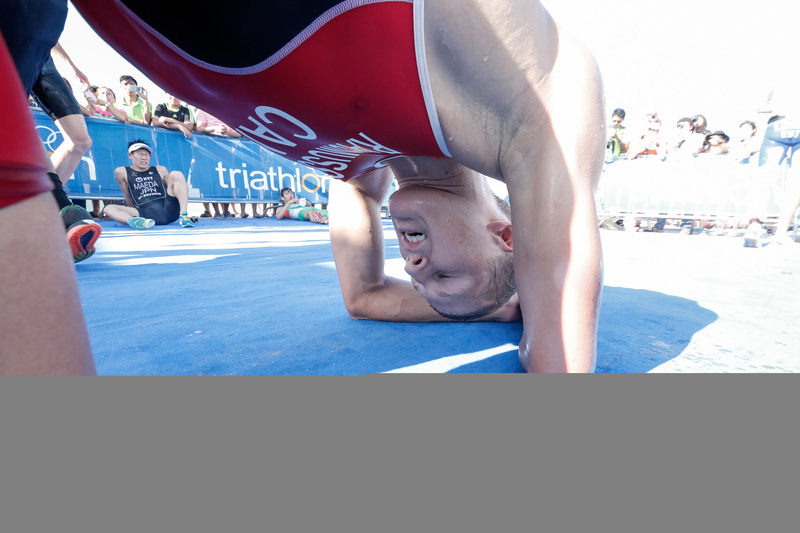 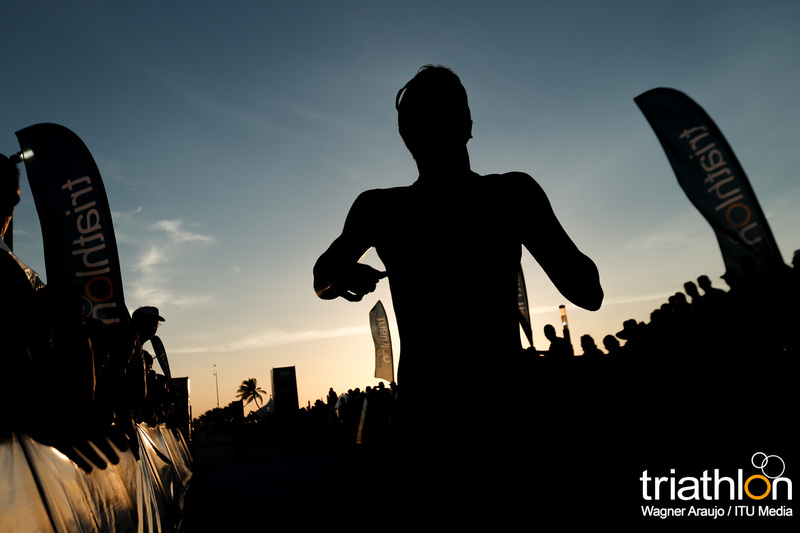 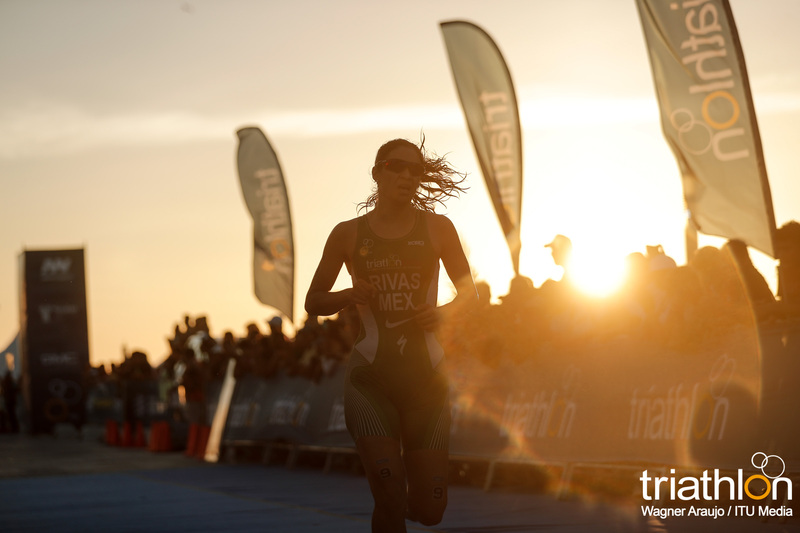 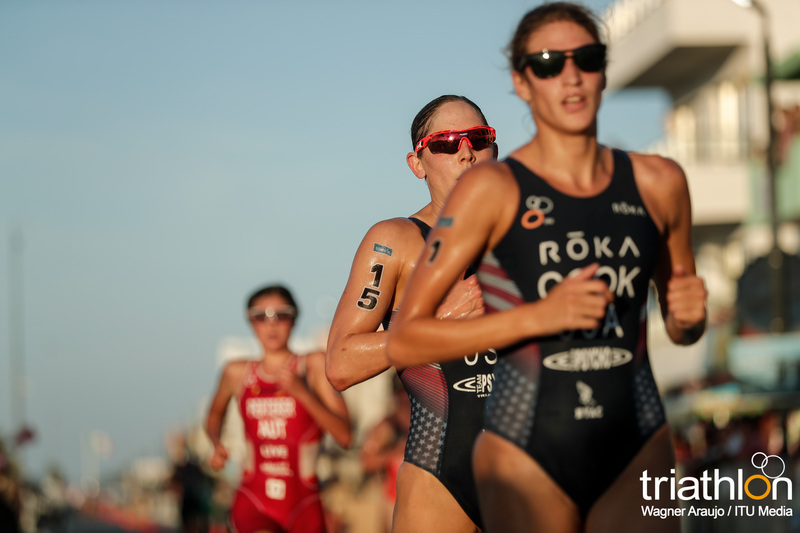 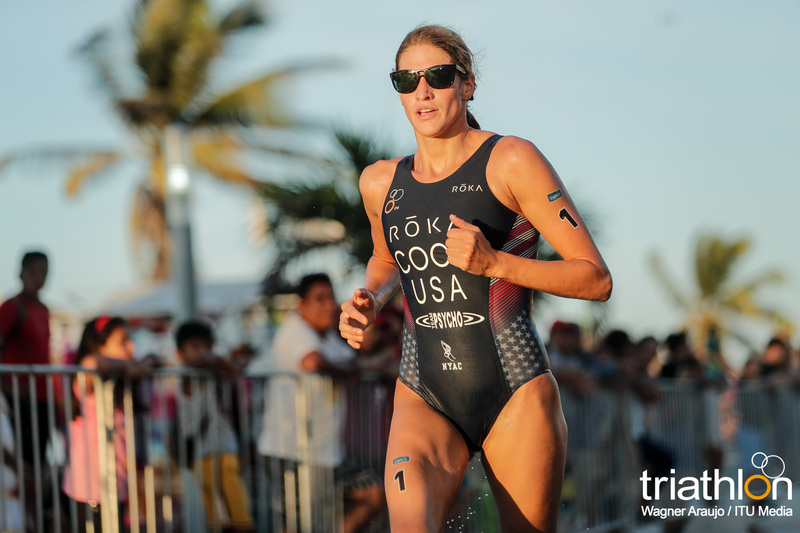 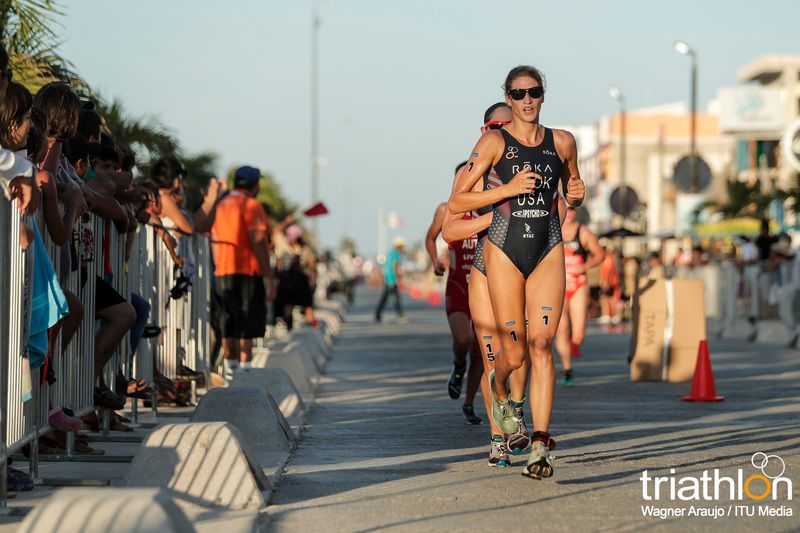 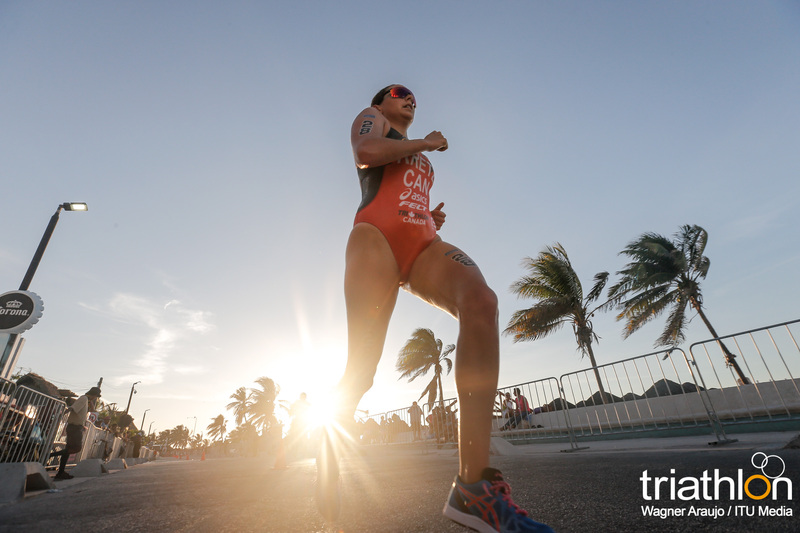 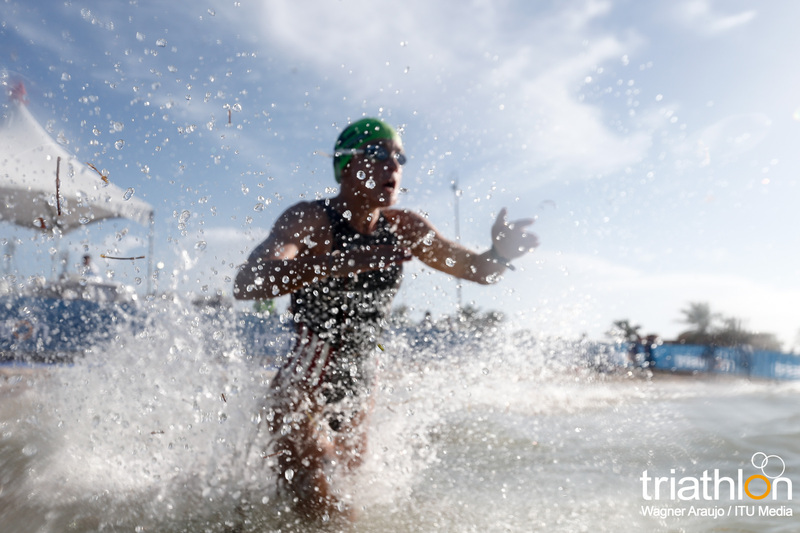 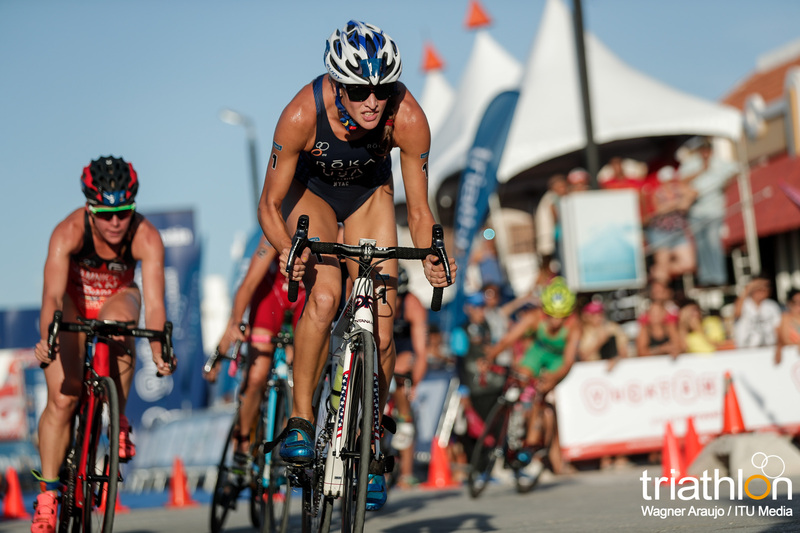 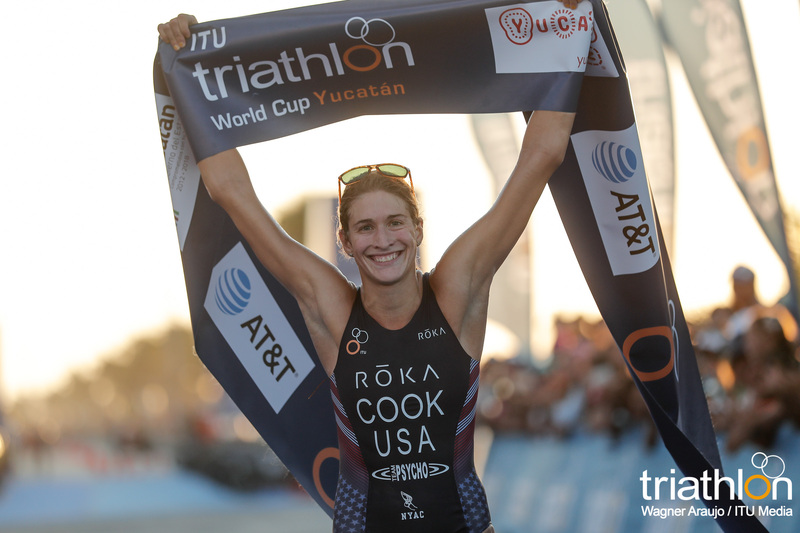 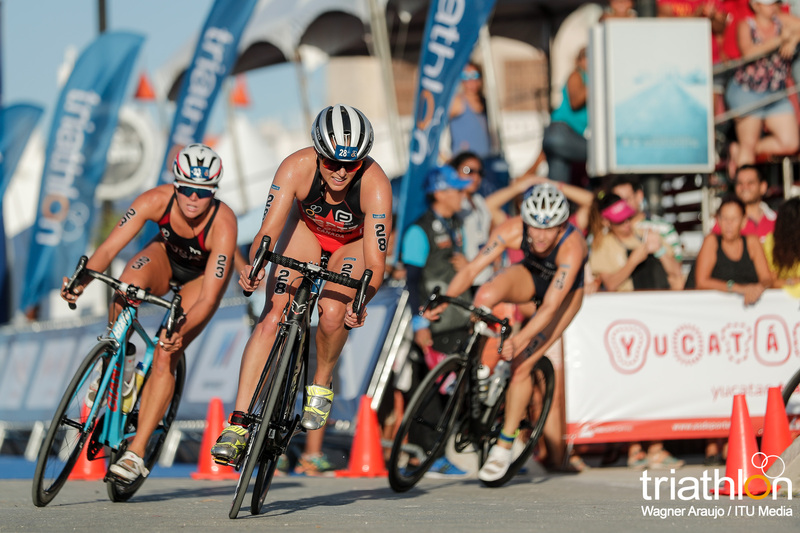 Collecting her first world cup victory of the season, USA’s Summer Cook captured the win of the inaugural 2017 Yucatan ITU World Cup. 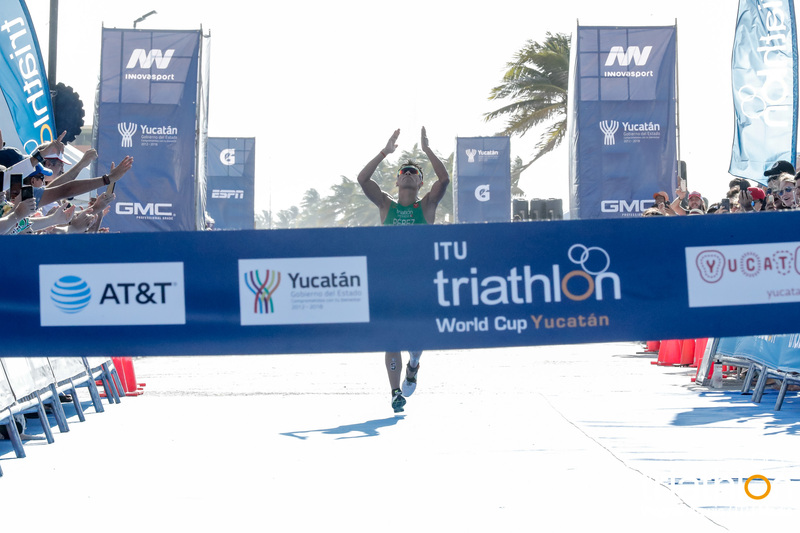 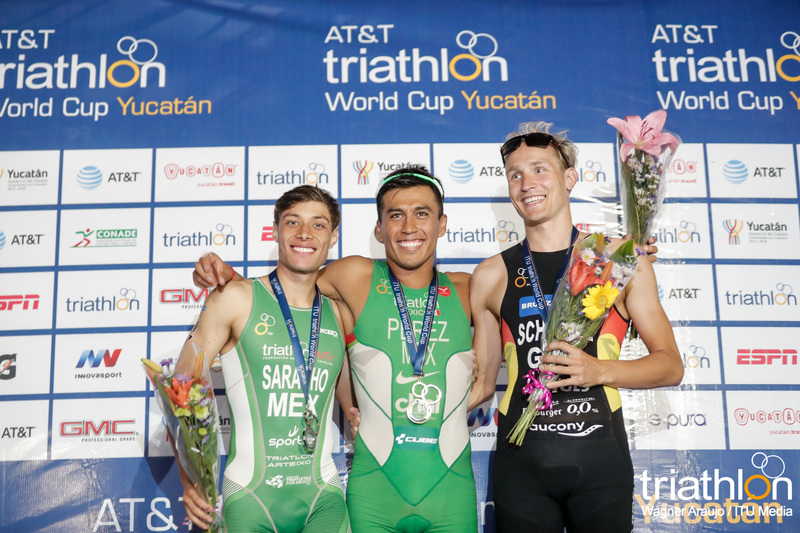 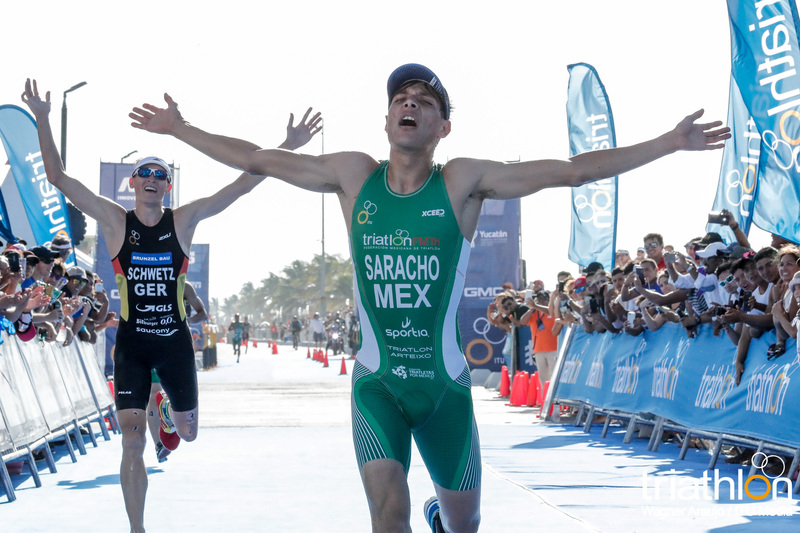 After having a breakthrough 2016 season and stepping onto four world cup podiums, the win was long overdue for the American as she will be named the first-ever Yucatan Champion. 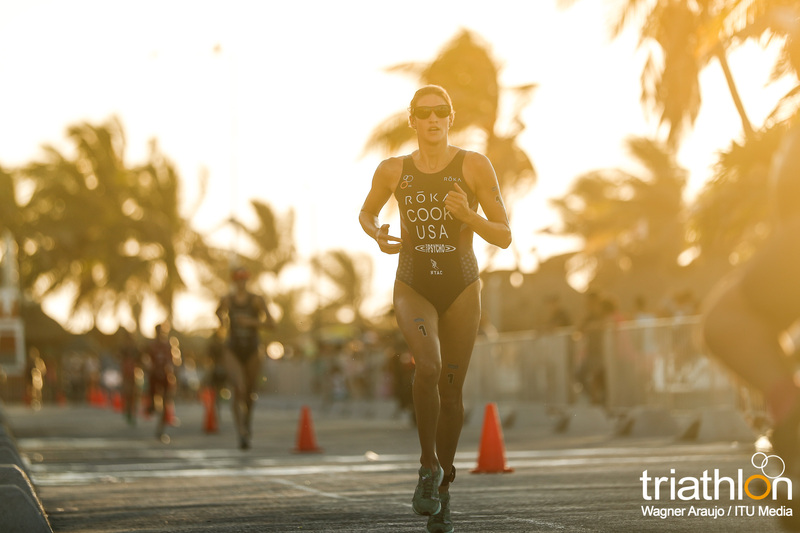 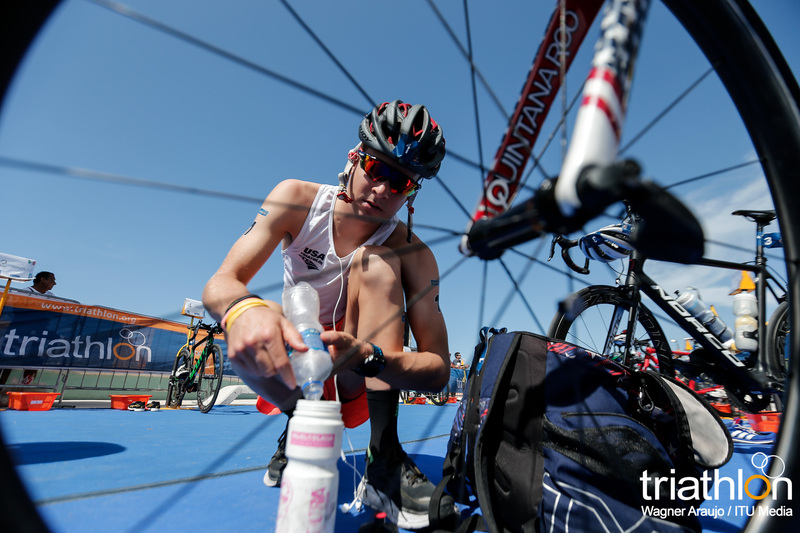 Cook battled for the gold from start to finish as she remained among the leaderboard throughout the entire race. 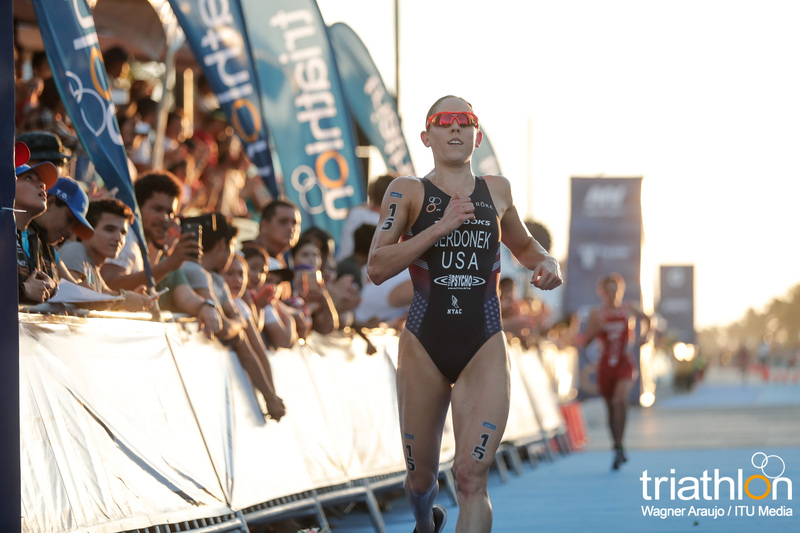 The win was then earned from a stellar running performance that drew her enough of an advantage to easily seize the finish tape. 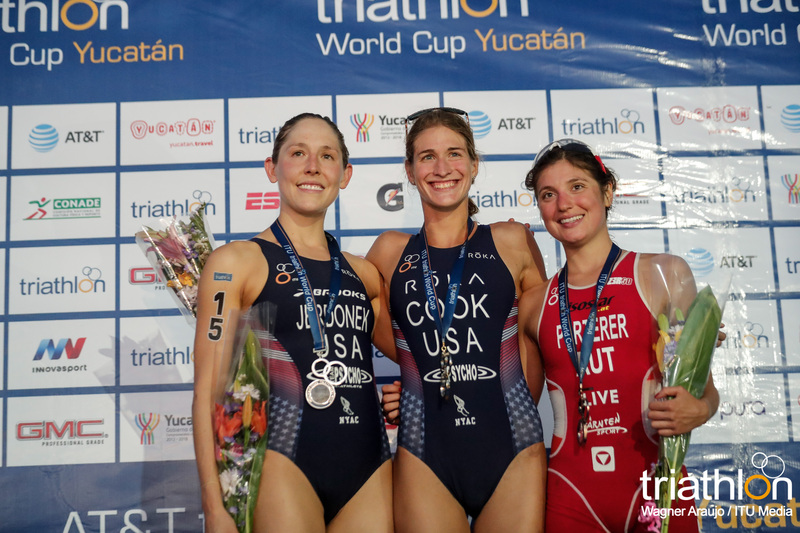 Taking the silver medal was a newcomer to the world cup podium, USA’s Lindsey Jerdonek. 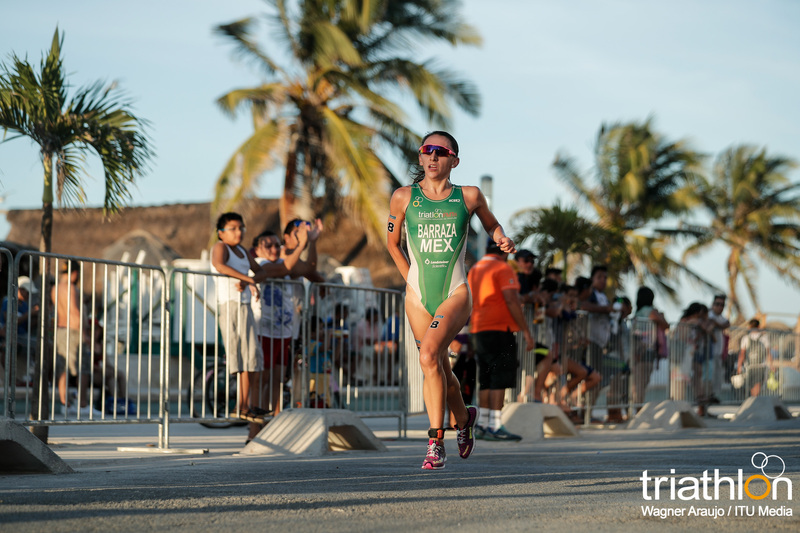 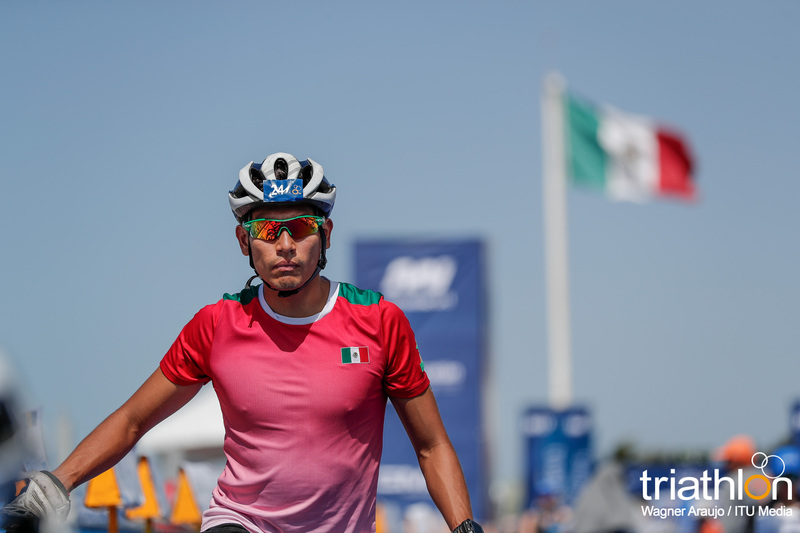 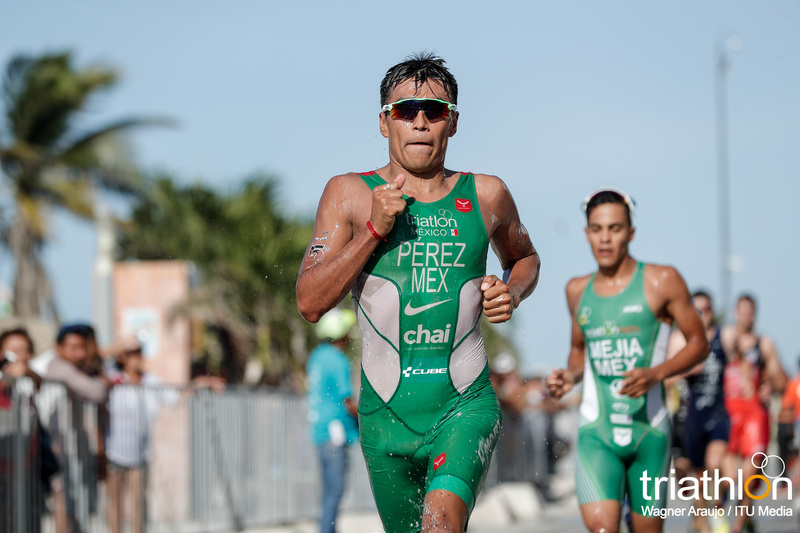 Then finishing off the medal count was Lisa Perterer (AUT), who proves that her talent is for the Mexican heat as she has seen many successes in Mexican hosted world cup events. 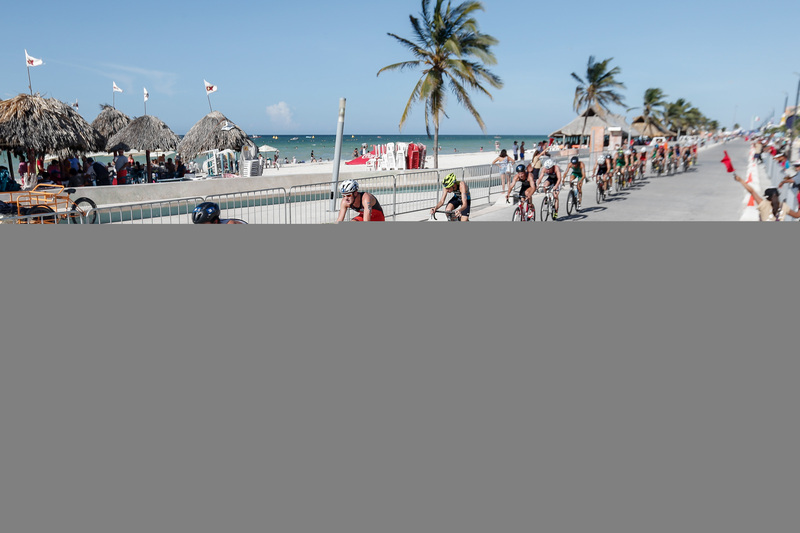 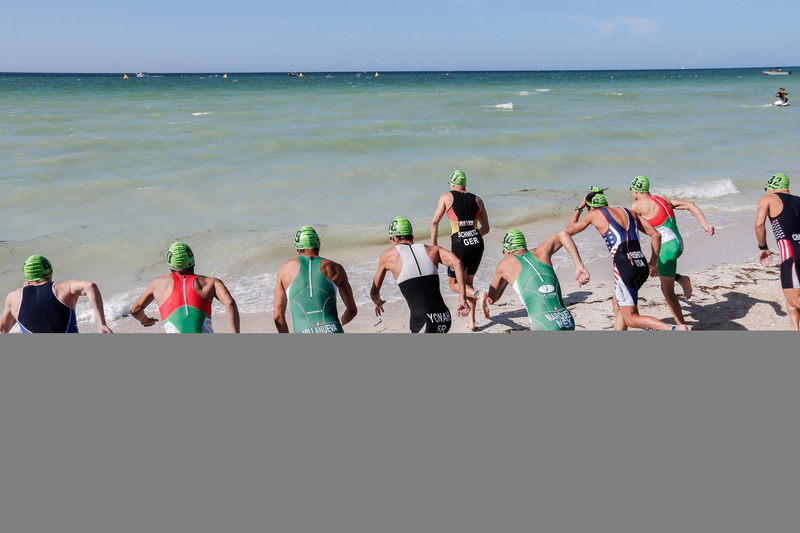 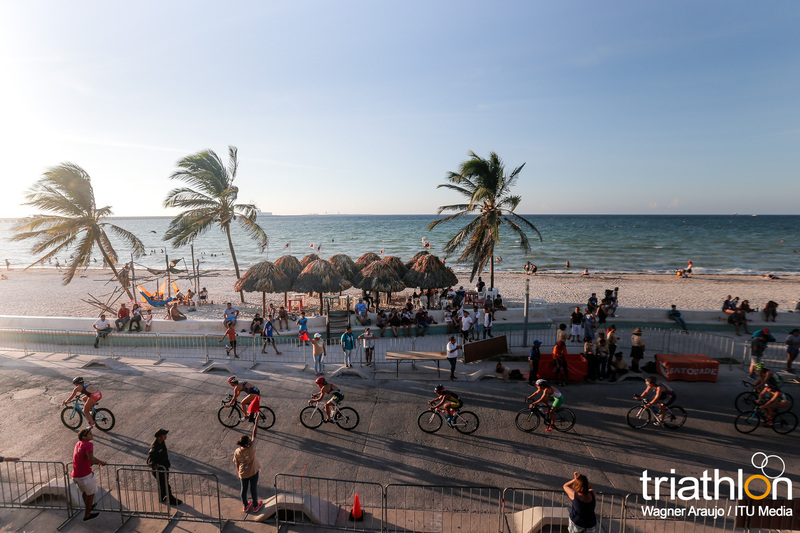 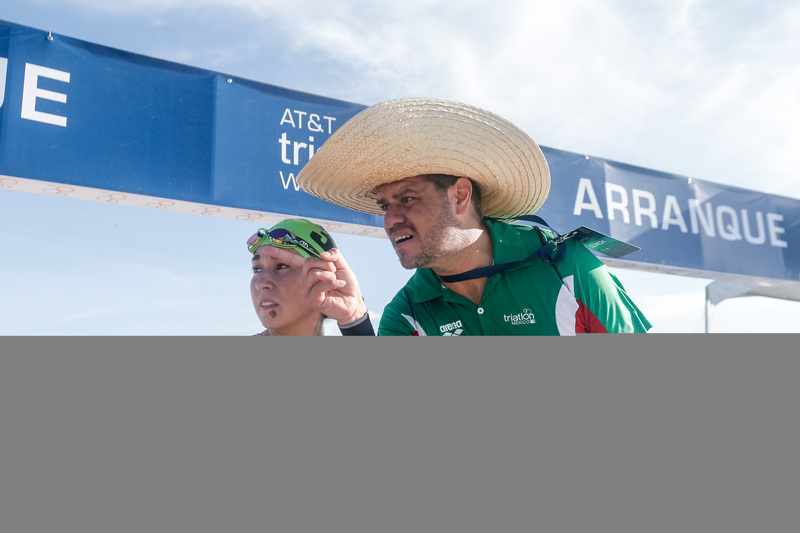 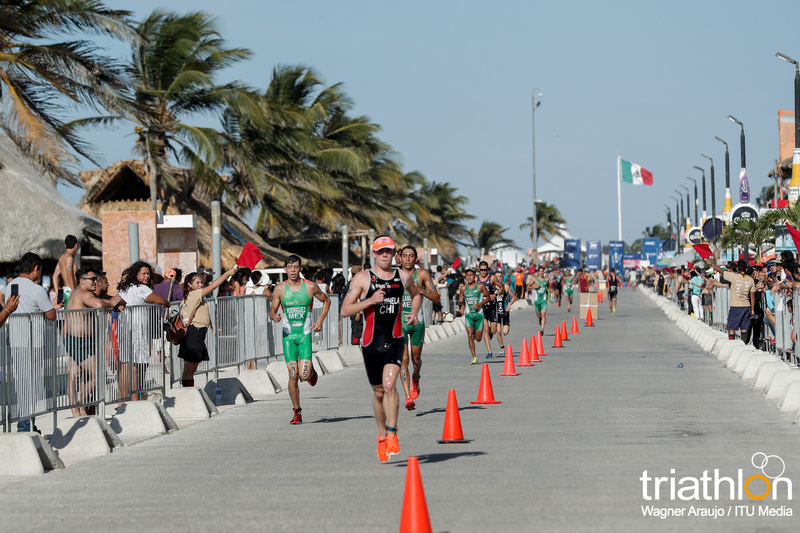 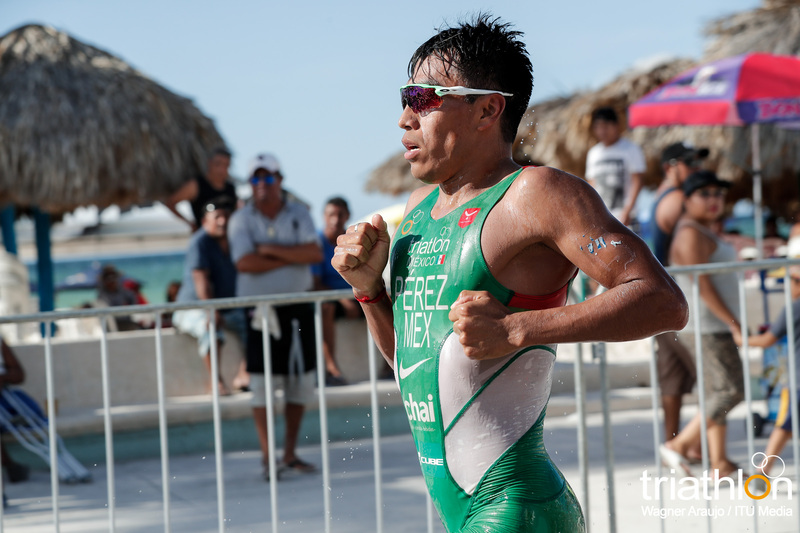 This time competing after the men completed the Yucatan course, the women lined up at the Progreso beachfront to tackle the sprint distance course. 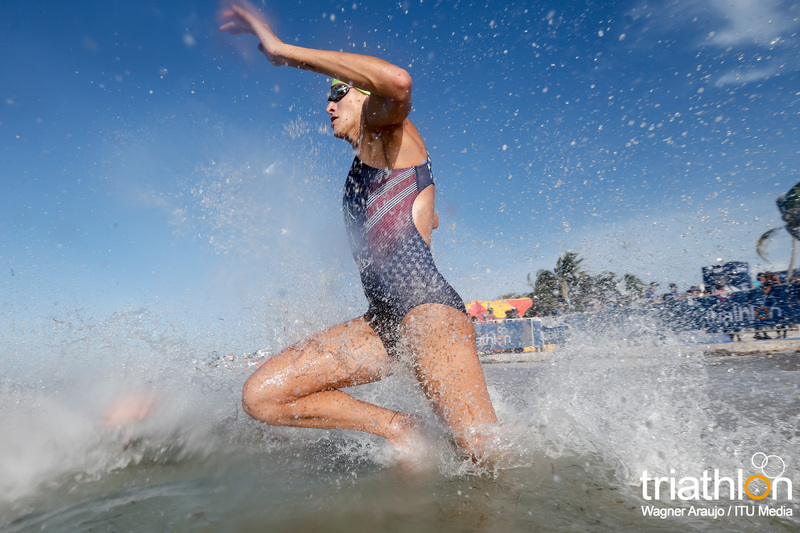 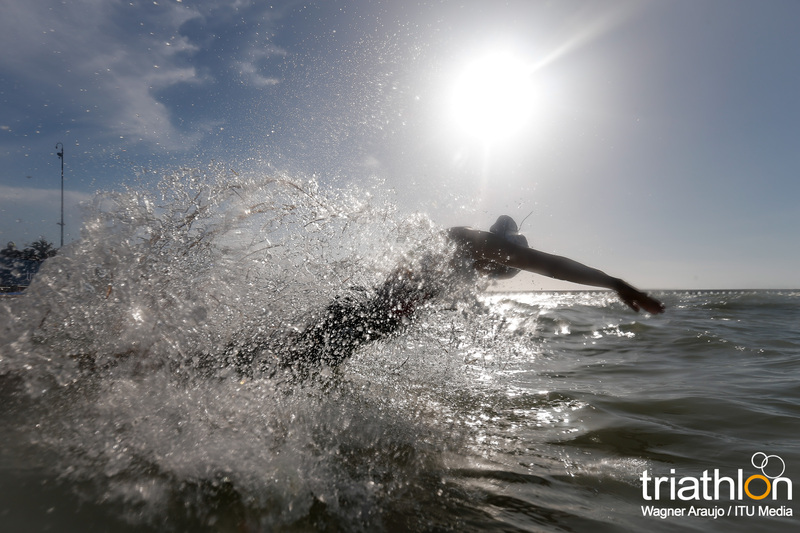 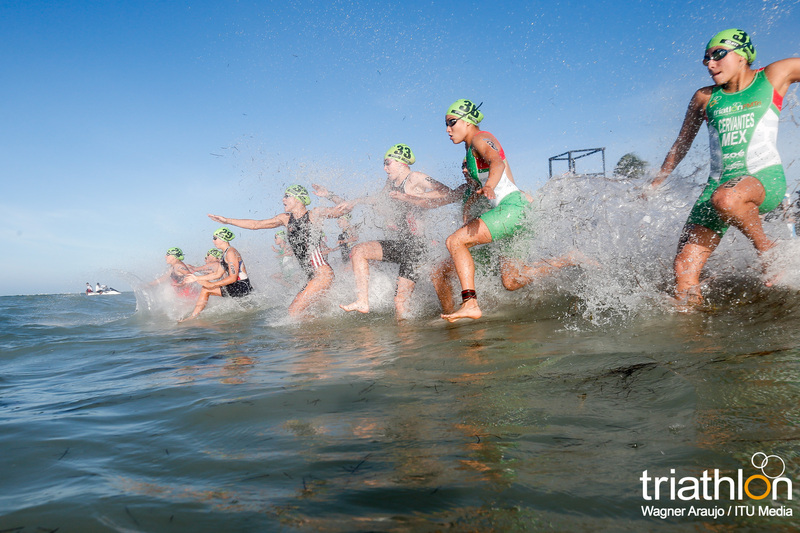 While the wind had picked up since the men’s race, the women swam through some choppy waves to get to the first buoy. 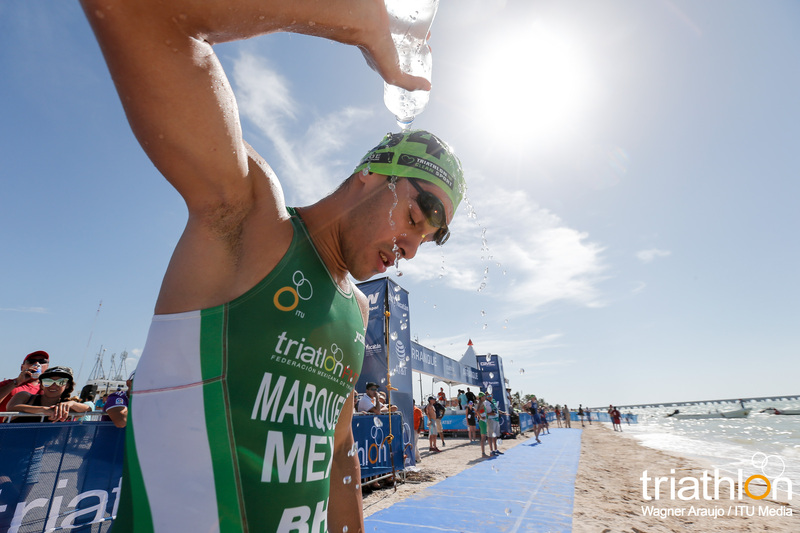 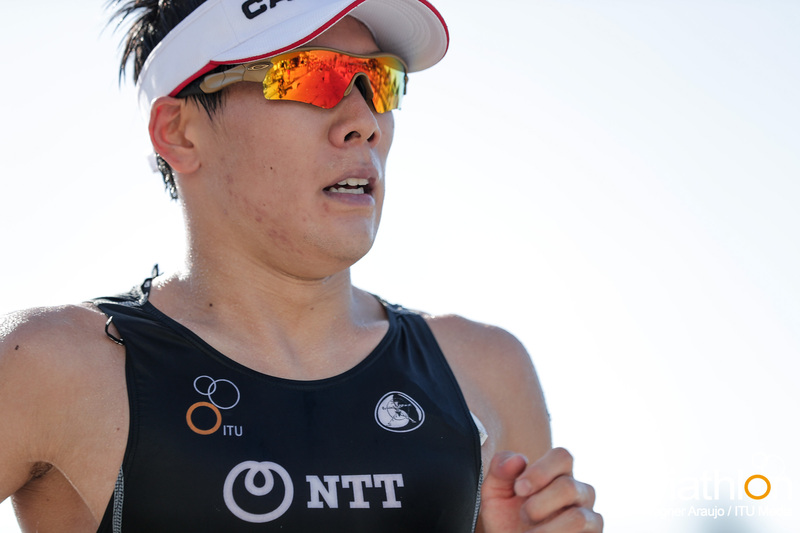 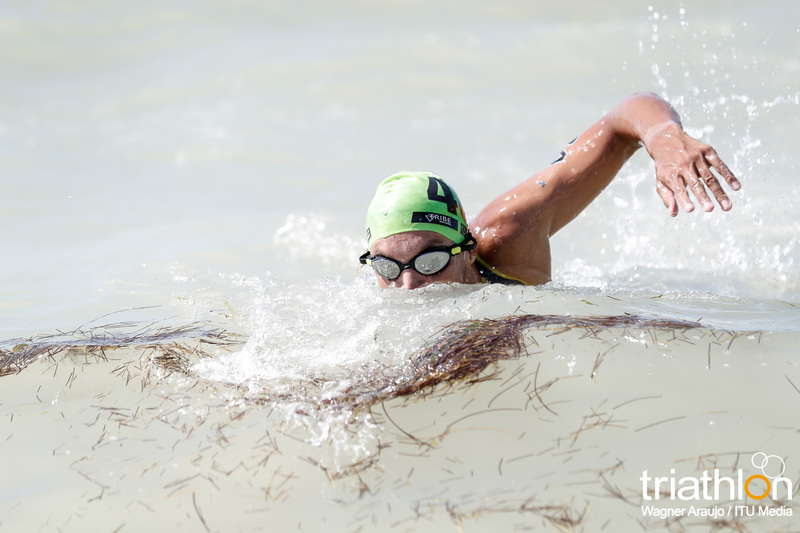 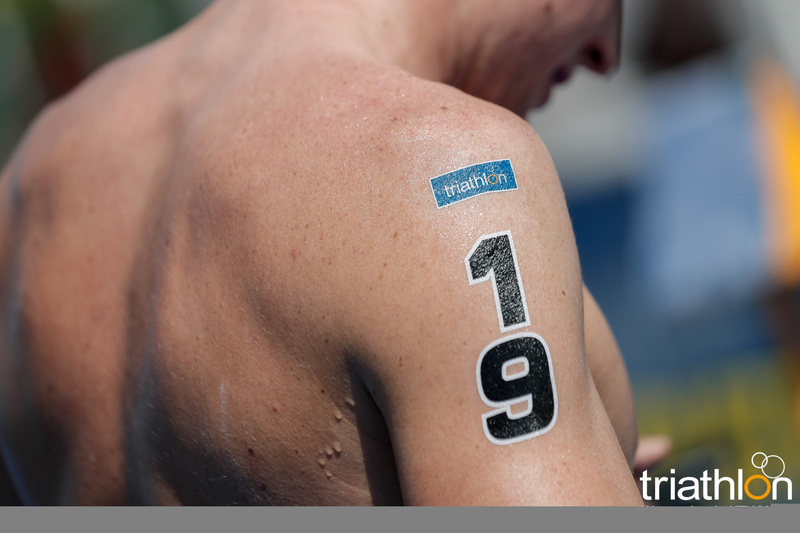 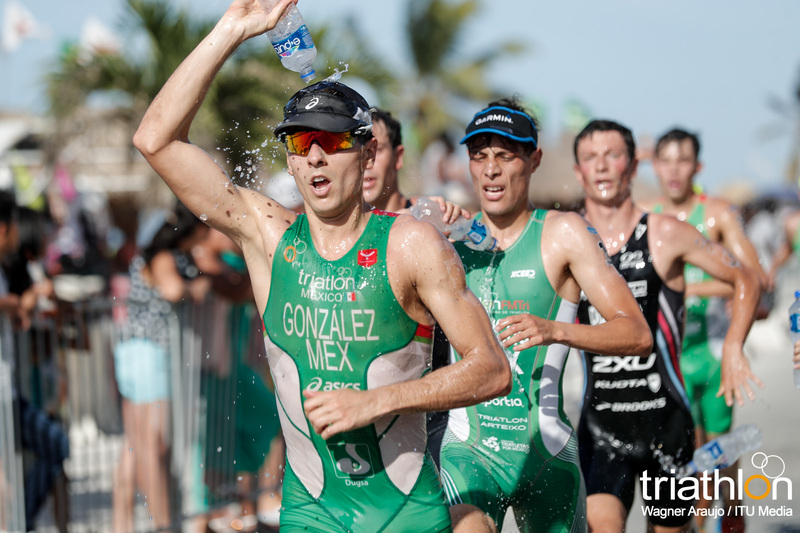 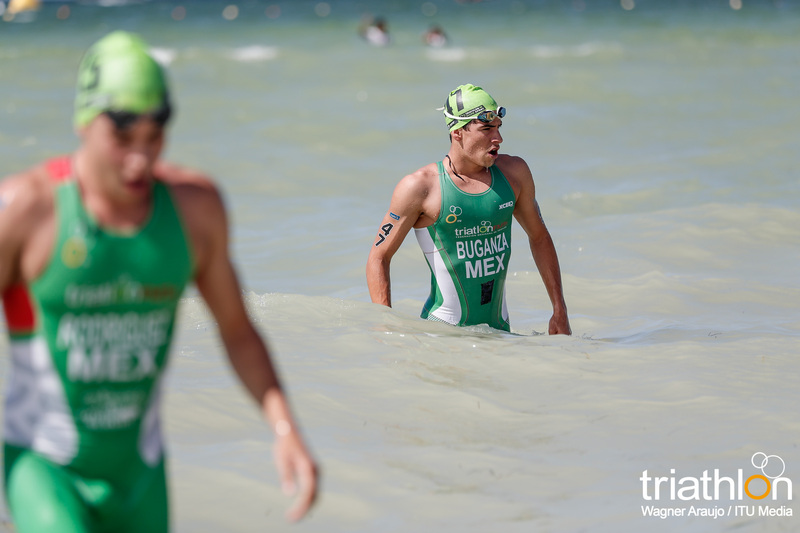 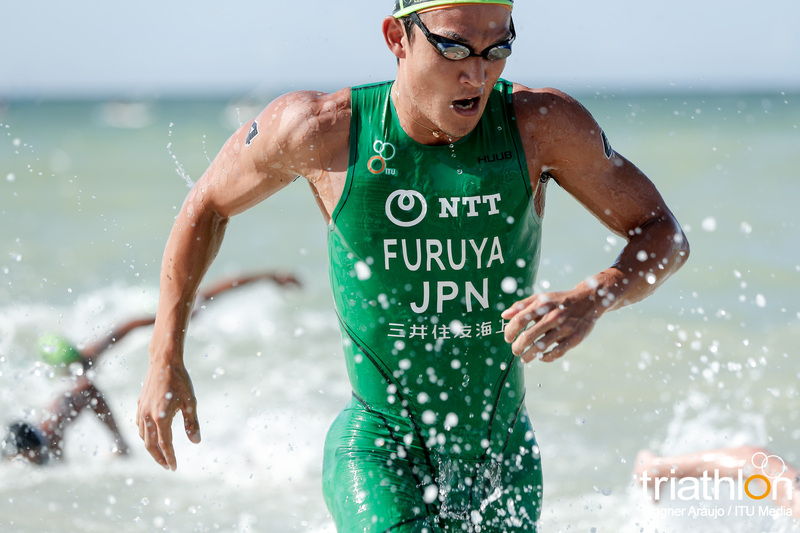 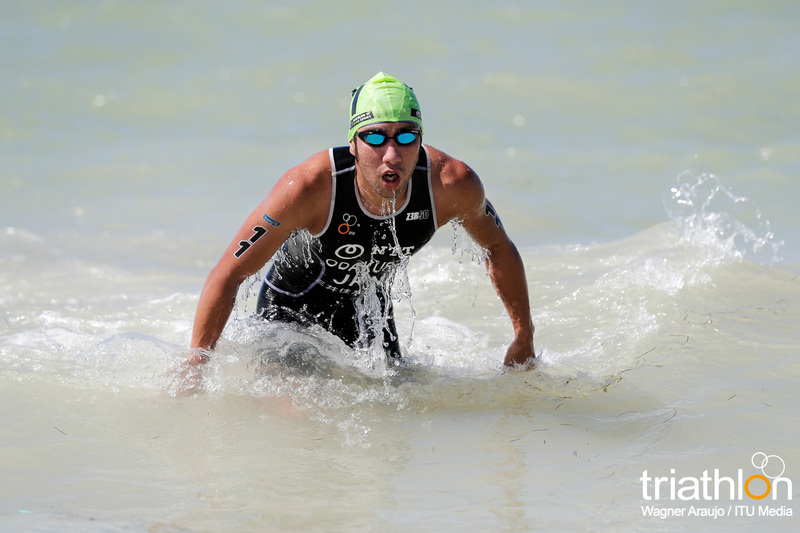 Cook exited the waters first, followed closely behind by Canada’s Amelie Kretz and then a long string of competitors. 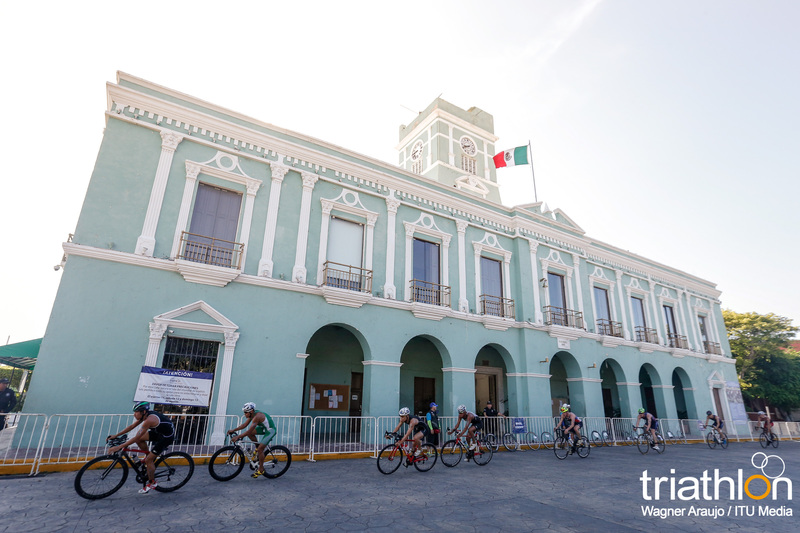 With only four short laps on the bike, a group of nine women formed after lap one, which included Cook, Jerdonek, Perterer, Kretz, Tamara Gorman (USA), Kaitlin Donner, Dominika Jamnicky (CAN) and Mexicans Claudia Rivas and Cecilia Gabriela Perez Flores. 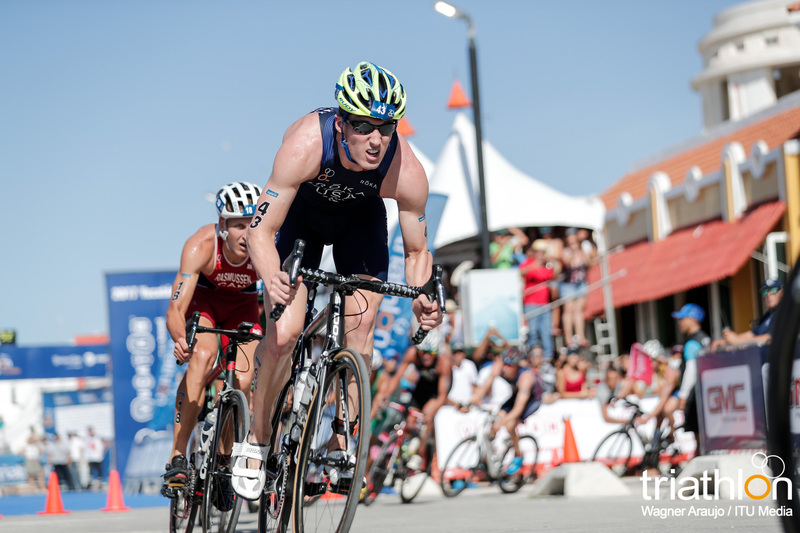 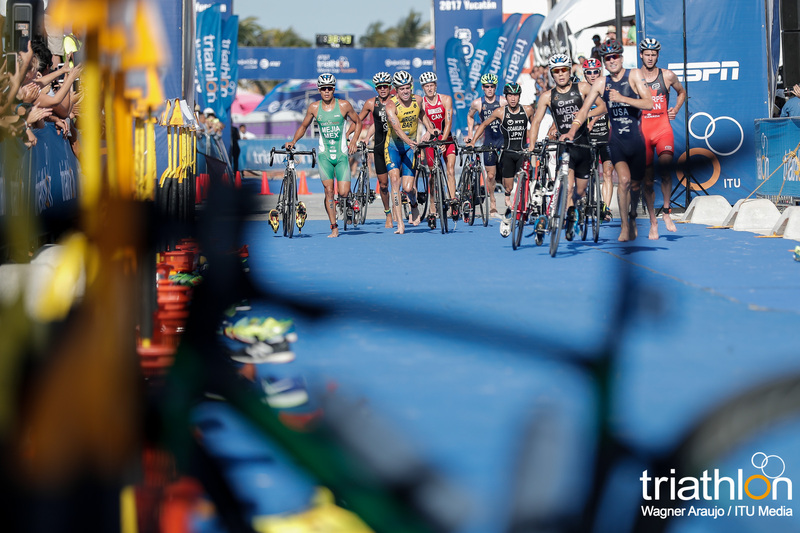 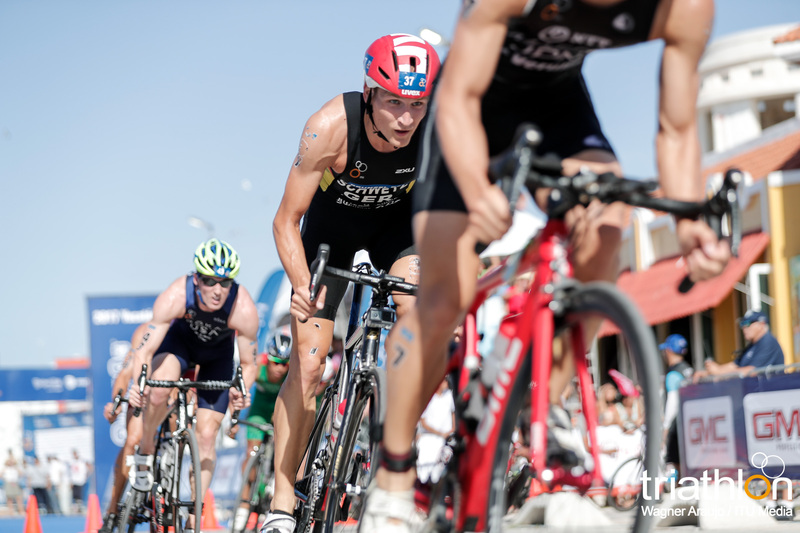 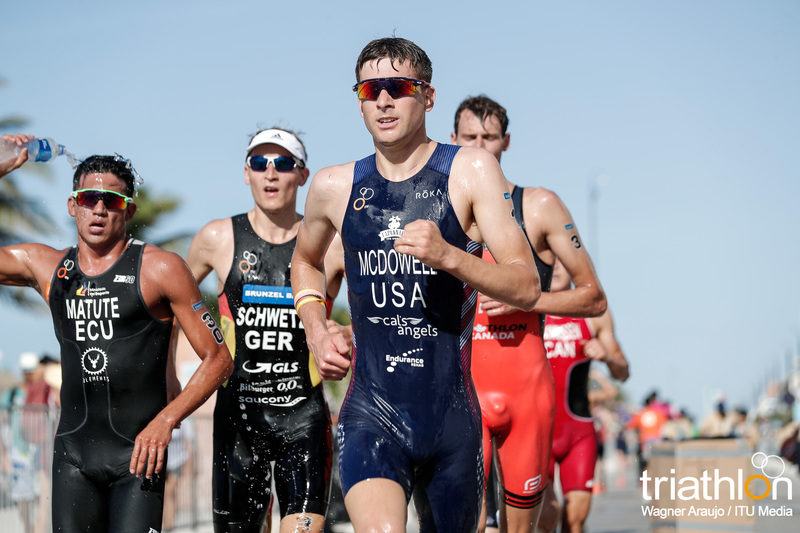 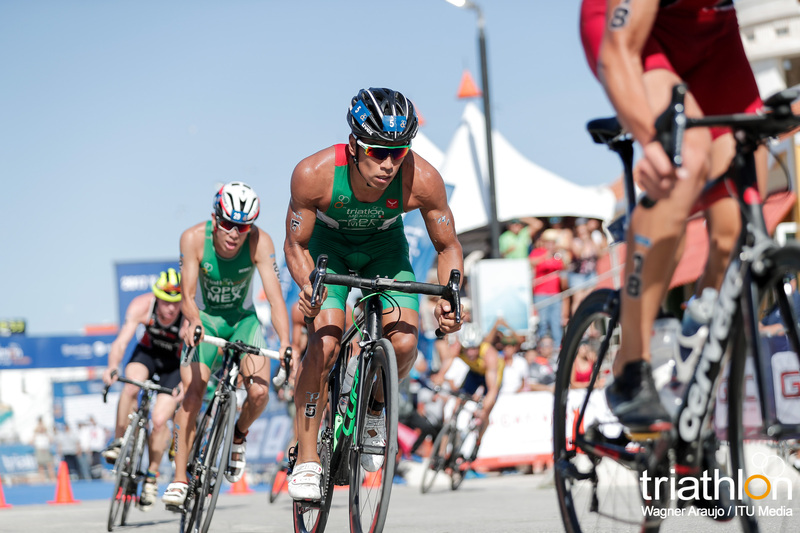 The leaders continued to gain ground after each lap and entered the transition zone with a lead of around 45 seconds from the large chase pack following behind. 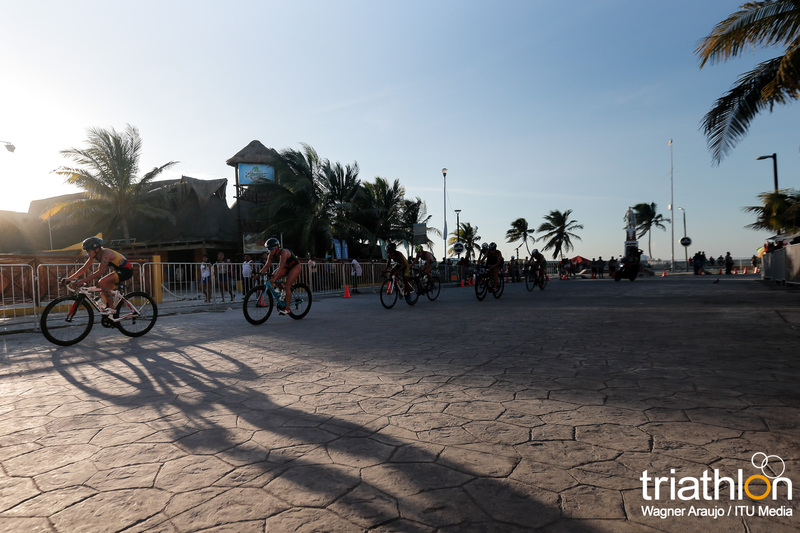 Once the run started, it was clear the podium would come from that leading bike pack and the women stormed off. 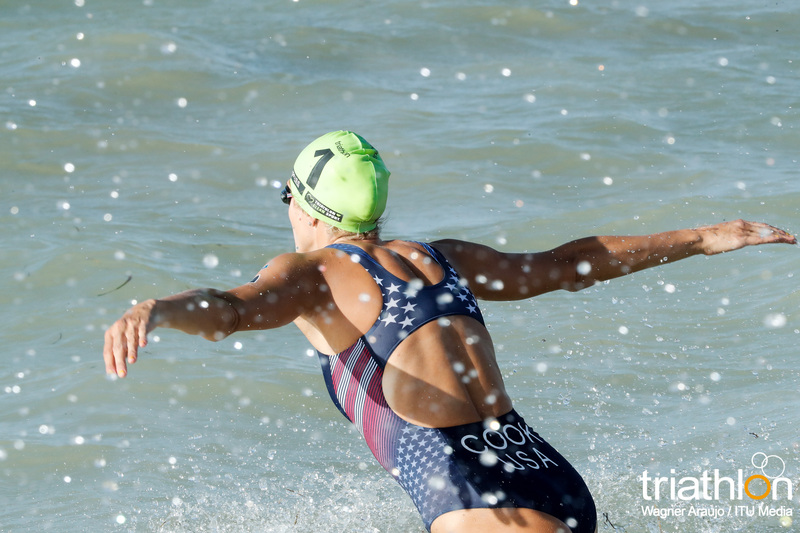 Cook got the early edge and soared with it. 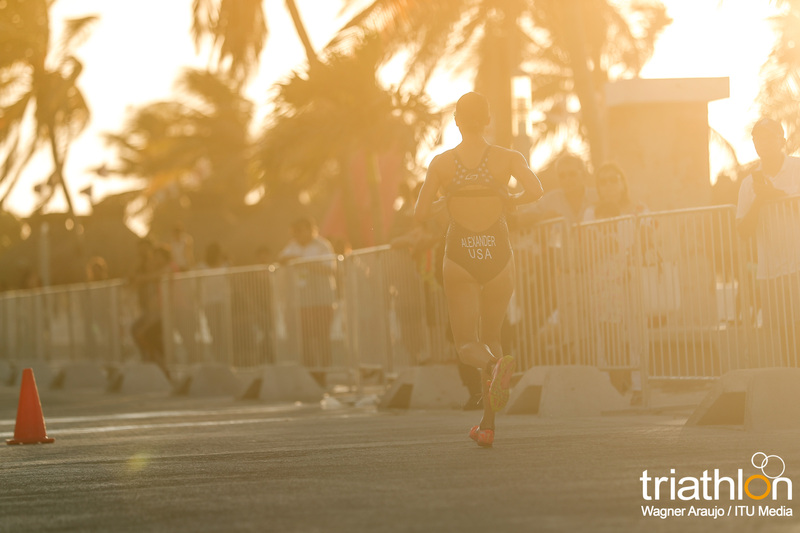 Within moments she was out ahead of the bunch and then grew enough of a gap that she was untouchable. 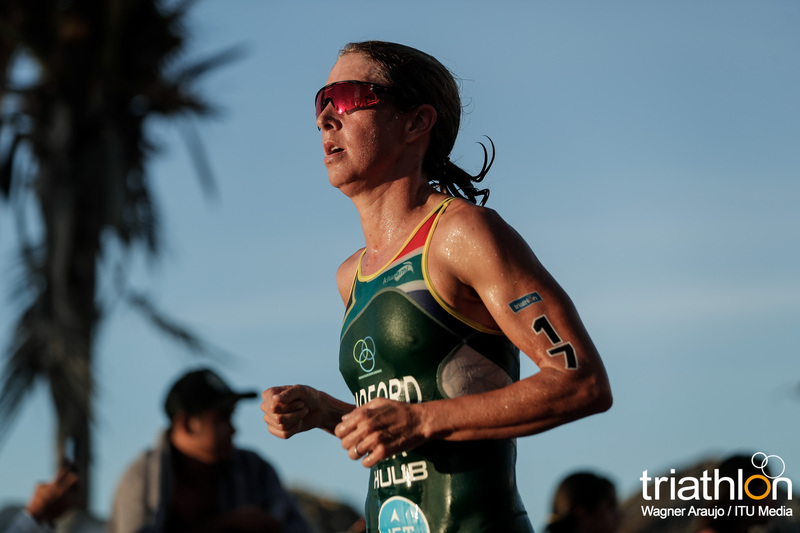 She then went home to grab the finish tape and collect her third world cup victory of her career and first of 2017. 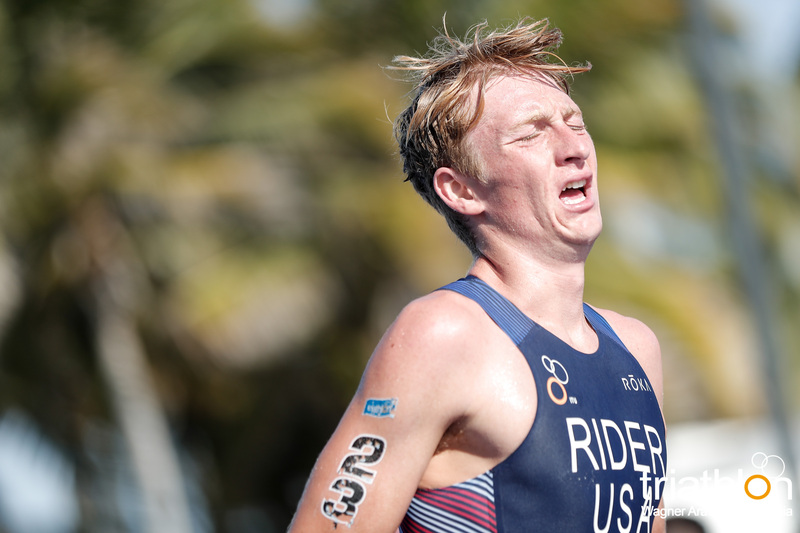 To close in on the other two spots, Jerdonek and Perterer ran almost neck and neck through the course. 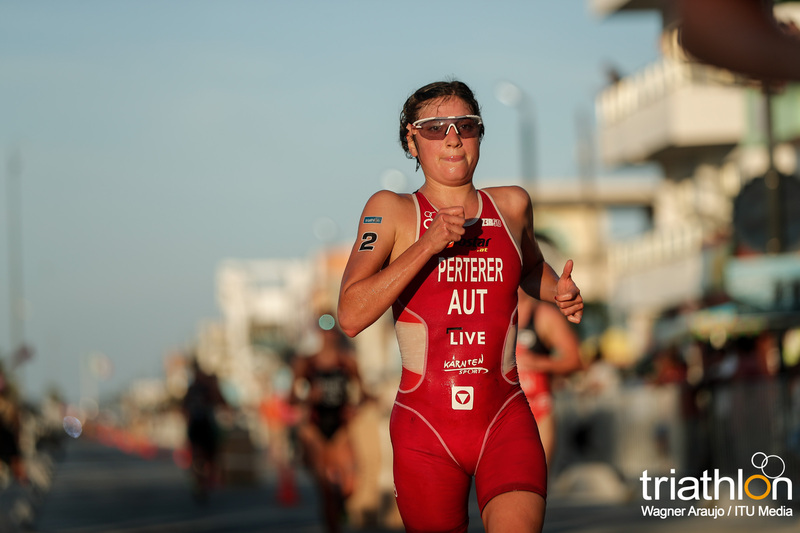 While Perterer found herself leading early on, it wasn’t until about 400 metres to go that Jerdonek made her move into the silver position. 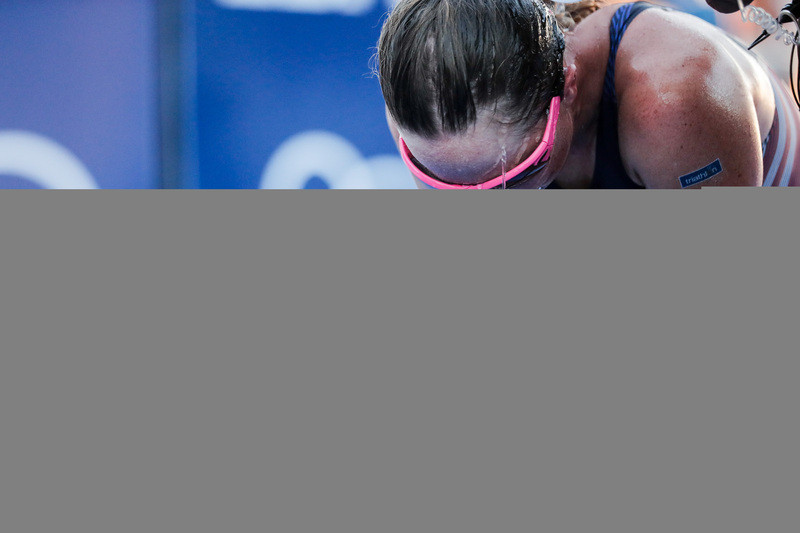 Perterer then was left to take the bronze.